Disclosure: GPNewsFlash Editor Dr. Samer Alassaad has no vested interest in, nor does he endorse any of the companies mentioned in this issue. s Invisalign for you? I asked myself this question many times before taking the leap and signing up for the Invisalign Fundamentals course at the AGD National Meeting in San Francisco – and by the way, this the only way to really answer this question. Initially, Invisalign seemed like a fortress to me. From the outside, the information provided does not really satisfy the analytical mind of dentists. At the AGD National Meeting in SF, we learned that Invisalign is just another tool in the general dentist tool box. If we know when and how to use it, and if we stick to criteria and recommended protocols, this tool will behave in our hands as well as in everybody else’s hand. Then, why not utilize it? We can provide a service to our patients, improve their smiles, oral and overall health. In return, we are rewarded by professional fulfillment and by improving the economics of our practices. We also learned that Invisalign is the most experienced orthodontist on earth with more than one million patients of record. This is a resource that has been constantly utilized to improve Invisalign’s proprietary clinical software. Every time a dentist approves a proposed treatment plan before treatment and then orders the retainers at the end of treatment, Invisalign throws the pre-op and the post op digital models into this pool of knowledge. As a safety net, new providers initially go through Invisalign Assist Program where they are limited to simple cases of mild malocclusion with predictable tooth movements. Specific clinical criteria apply: total crowding or spacing (canine-canine) should be ≤ 6mm per arch, midline discrepancy ≤ 2mm per arch, overbite/overjet ≤ 4mm, intrusion/extrusion needed should be ≤ 2mm per arch, and rotations ≤ 40 degrees. Mid-treatment assessment has also been made available to new providers to evaluate treatment progress. Professional liability claims with indemnity payments (600 closed claims): the highest incidence of claims was implant related 19.5%, followed by restorative (18.5%), oral surgery (18.1%), and endodontics (17%). The highest mean compensation per case was oral surgery related. Professional liability claims with expenses but no indemnity payments (872 closed claims). License protection claims (333 closed claims). This group photo captures some of the California AGD recipients of the Fellowship Award, Mastership Award and Lifelong Learning Service and Recognition. The California AGD wishes to congratulate them on their accomplishments and their pursuit of lifelong learning. Click here to learn more about FAGD, MAGD, and LLSR. Recipients were also honored by CAGD during a DJ’ed reception with family and friends. 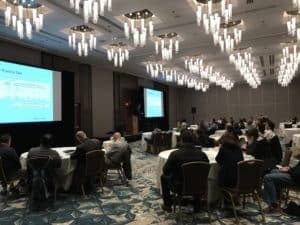 Dr. Mathew Krieger, founder of the dental consulting and coaching company Million Dollar PPO, introduced some of his concepts to successfully run a PPO practice at the AGD Annual Meeting in SF. Efficiency in every aspect of the dental practice: in treatment planning (such as utilizing quadrant dentistry concept, and CAD/CAM single visit dentistry), treatment plan presentations, scheduling, and collecting payments. Dr. Kieger recommends that clinical staff (hygienists and assistants) be trained as treatment coordinators, scheduling coordinators, and financial coordinators. Each hygienist can be trained to take the role of a dental assistant whenever help is needed. Each treatment room can be equipped to present treatment plans, schedule patients and collect payments. Dr. Kieger’s goal is to limit the front desk staff responsibility to only answering the phone. He has already eliminated the waiting room in his office. Instead he has a private office for patients’ companions. Dr. Kieger sees dentistry as the intersection of both worlds, healthcare and retail business. 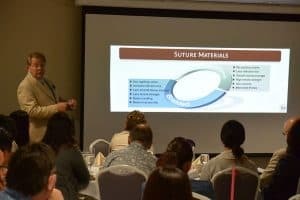 Some of the ideas presented may seem too progressive to some; but in reality, understanding the current trends in the business of dentistry is key to survival and flourishing in the future. An office does not need to participate in PPO to benefit from Dr. Kieger’s ideas. (You can also read about different practice models in Dr. Michael Perry’s – the Director of Practice Management at the California Dental Association – article “Choosing a Dental Practice Model: An Important Part of Strategic Planning” in our previous issue). Master Track Director Dr. Rich Ringrose spoke against a House of Delegates resolution that would have added an additional subject category of jurisprudence to qualify for Mastership. As most state boards require courses in jurisprudence, Dr. Ringrose felt this addition would create an unnecessary burden for our MAGD candidates. The resolution was defeated. Click here to learn more about AGD Mastership Award and CAGD Master Track. 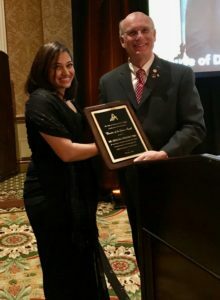 CAGD president Dr. Sireesha Penumetcha spoke against another House of Delegates resolution where LLSR recipients would not be nationally recognized at future annual convocation ceremonies. They are currently invited onto the stage. The resolution was defeated. Click here to learn more about Lifelong Learning and Service Recognition. “Fundamentals of Bone Grafting and Ridge Preservation for General Practitioners” (click here to read the event page and register if you like)by Dr. Mike Chen, a diplomate of the International Congress of Oral Implantologists. Over 200 dentists attended Dr. Mike Chen’s presentation during the CAGD’s Fall Meeting in San Francisco in November, 2014. 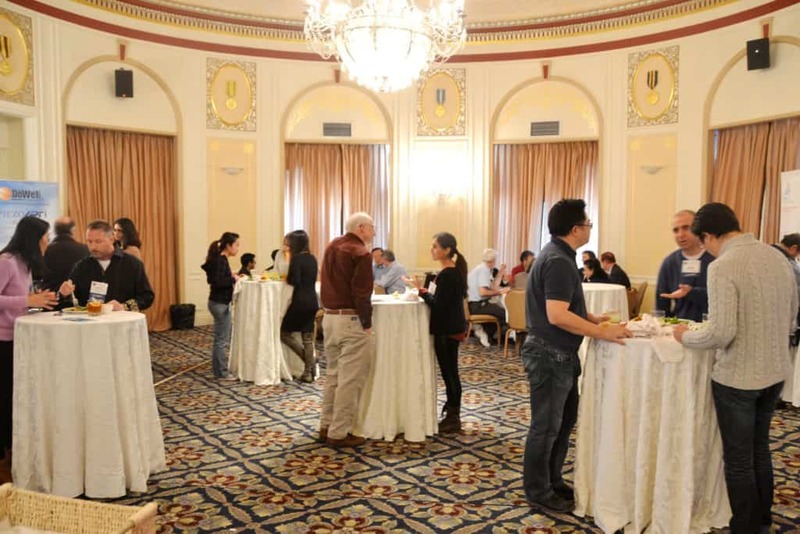 Attendees also enjoyed the opportunity of one-on-one interaction with vendors. Onsite lunch gave attendees the opportunity to visit with fellow dentists and vendors.